A warm and welcoming management office had me feeling at home from the very beginning of the rental process. The grounds and amenities are beautifully maintained and I feel fortunate to call Knolls Place my new home. My experience at the Knolls apartment complex has been amazing. The staff is incredibly friendly and helpful, the maintenance staff fulfills service requests promptly, and the units are well-maintained and updated for a very reasonable price. I've lived in at the Knolls for 2 years now, and the experience has been fantastic. There were some hiccups up front, but the staff were quick to respond to any concerns I had. Maintenance are the best in the world and pretty much respond to your request the same day. The amenities are great as well as the location. There's always fun events going on, and I don't see myself leaving anytime soon! Rent is way to expensive for the square footage you get and there’sno surveillance cameras. That’s amazing to me!!! It’s a nice apt as a whole but the neighborhood is very nosey, windows and wall very thin! An apartment complex that I feel completely safe it. My dog loves going over to the dog park and it definitely helps with her energy. I also love how they try and bring the community together with small events! Absolute stellar service! The staff is amazingly friendly and always willing to help. The neighborhood is quiet and the neighbors are friendly, people genuinely care and are help one another. There are always fun things to do. The renovations are nice and the location is too! I love the area. The staff is super friendly and very easy to work with. My puppies also love the dog park. I just moved here recently and I wouldn’t change it. Quick to respond, friendly, convienent location, and newly renovated. I have loved having a fireplace, community firepot, and gym on site! Perfect place to call home! I just moved in and it is great living here. The staff is so nice and very involved. Love the perks that come with living here. Not to mention the cleanliness around here is awesome. Hello Mariela! We are so glad to have you as part of our community. Don't forget to stop and get our monthly newsletter, so you can check out our resident events. We look forward to seeing you around property! Love the staff! Love the dog park and the dog spa!!! The apartments are amazing. It’s such a great community! The cares team and events are awesome! Hi Chelsea! We appreciate your kind words. Thank you. I love living at The Knolls - so much so that I lived here 9 or so years ago and just moved back. I couldn't be happier to be here and you can't beat the location! and we couldn't be more happy that you chose The Knolls to call home..again! Has been great since I moved! Quiet, good apartment and nice people! The area has a lot of options and the maintenance services are really quick and efficient! Thanks Trish! Hi Rachel~Thank you for recognizing our maintenance staff, they sure do work hard! I moved to the Knolls unseen from abroad and have had the absolute best experience. The entire staff here has been supportive, kind and helpful. Also the community is fantastic, have met a lot of really great people through the events held here every month. Hi Jasmine! Thanks for the kind words. It is always a pleasure to see you around property. Don't forget we are bowling on the 28th! I’ve loved living here so far. The fireplace is gorgeous, and the premises is very clean. The only issue is the walls are very thin. I can hear my upstairs neighbor playing pool right over my bed every night. Hi MacKenzie! We are so glad to have you as part of our community. If you would like to chat about the noise upstairs, please contact us at the office, as we are here to help. We've had nothing but an amazing experience at The Knolls. The most kind staff, wonderful neighbors, responsive maintenance, tons of parking, and no issues to speak of. Thank you for being an amazing apartment community! Very easy access to many places like Wamart. Renovation looks great with a nice environment. Nice staff and security gate makes it a safer place to live in. 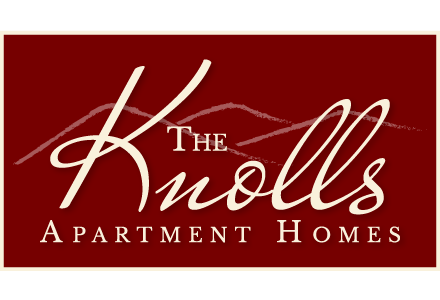 We are glad you feel right at home, here at The Knolls! Hi Michelle~ We appreciate you! As you know,growth is happening all over Nashville. We are getting new neighbors. We have been fortunate to have had the woods as long as we have. It's really nice community with great people. But was much better surrounding with a little forest. There's a construction instead of trees. I'm so sad. We are happy you are part of our community! We cannot control the construction around use but hope you feel comfortable w/in our gates. We look forward to seeing you at our next resident event! Moved in at the end of June and no real major problems! The maintenance staff are great and have gotten all of my issues fixed the same day if the part was available. Absolutely a beautiful place to live and I feel so at home I love it. All the neighbors in this community are so friendly and inviting it’s so wonderful. Beautiful safe community. Great amenities and wonderful office staff! Super convenient location. From touring to move in day, the office was so helpful and kind.